For every bird-watcher, a pair of fine binoculars is a must. A good binocular will enable you to detect the fine details on the birds, allow you to properly identify their distinctive plumage, and even improve your chances of identifying the right species. 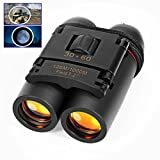 You can use them for observing wildlife and stargazing as well. There are a lot of varieties to choose from on the market. With a little help, you can even manage to find a good pair which will last you a lifetime. 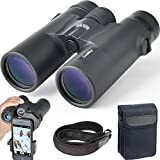 To help you buy the best binoculars, we have gone through thousands of reviews, summarizing some of the most important tips. There are two different types of binoculars, distinguished by the type of prism that they employ: roof prism binoculars and Porro prism binoculars. In roof prism binoculars, both of the prisms are aligned in a straight line which makes them more compact and sleek. There are fewer internal parts, which make them easier to handle, but the image quality can at times suffer as a result of the aligned prisms. In Porro prism binoculars, the ocular and the objective lens are not aligned, because of the design of the prism. They are less expensive compared to their counterparts. As the objective lens is spaced in a wide angle, the stereoscopic image is better. 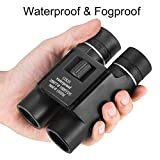 Both of these binoculars are perfect for wildlife spotting, bird watching or any sporting activities. Full-size binoculars are useful for wildlife viewing, as they perform better in low-light conditions. Because of the wide view, they provide steady quality images. The size is the only drawback, as it is too heavy for hiking. The mid-size binoculars strike a balance between average light transmission with moderate size, making it perfect for your bird-watching venture. The compact ones are easy to carry and perform flawlessly during the daytime--they can be easily packed away in your knapsack. Desirable features: Keep a note of focusing ability and field of view when choosing a product. But apart from technical specifications, do not forget about details such as warranty, waterproofing, and, most importantly, durability. Most of the top-notch companies offer excellent warranties--so before you buy, you should go through all these details. Budgetary constraints: All users have a specific budget which they want to spend on binoculars. But the cheapest option on the market may not offer the best value you are looking for. A serious birdwatcher will go for a long-time investment because the best binoculars are built to cope with harsh outdoor conditions. With proper care, a good pair of binocular will last for decades. Not all quality binoculars have to cost a fortune. As the techniques, science and production standards of the European manufacturers are more widely available and have become more affordable, users can get a fine pair with Porro investment. Waterproof and water-resistant: Find out whether your binoculars are weather-proof, fog-proof and water-resistant. Waterproof binoculars have sealed O-rings which prevent moisture from getting inside and damaging the lens. Weather-proof products can be taken out in moisture as well. On the other hand, fog-proof binoculars are filled with gases such as argon and nitrogen to keep from fogging up. Think about the magnification: 10x binoculars are definitely better at birdwatching--but the higher power means a narrower field of view, and the image tends to be darker in low light. With an 8x binocular, the image may be smaller, but brighter. Researching the price: Nowadays the market for more modestly-priced binoculars contains some good options, because of technological advancement. However, the top models that are still within an affordable price range will be more durable and will comfortably last you for years. Eye relief: Most of the binoculars in the market have retractable eyecups which can accommodate glasses and provide shading when required. Always opt for adjustable eyecups, which can be adjusted to provide ample eye relief. Find the right model: Before you take your pick from the thousands of models available, test as many models as possible, to get a feel of what suits you the best. The clarity of the image depends on a lot of things, such as how you carry the equipment, how you focus, the shape of your face, and the size of your hands. 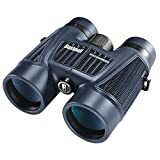 The quality of the image: The sole purpose of getting a good pair of binocular is to get good quality images. It is best to test the binoculars in low light so that you can find out about the clarity/crispness of the image. 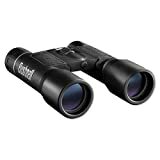 Bushnell: The best thing about the Bushnell Falcon series is that they offer good magnification, in the most economical range of prices. They have a durable design and are known to be abrasion-resistant and rubberized. The coated lens and Porro prism offer the best quality images possible in outdoors conditions. The Bushnell Falcon 133410 has 7x magnification with a 20-foot close focusing distance, along with a 420-feet field of view in 1000 yards. Polaris Optics: The image quality of the Polaris Optics ProBirder is unbelievable: it takes the whole bird watching experience to a new level. The Polaris Optics ProBirder Ultra HD 8X32 compact model is both fog proof and waterproof, which makes it perfect to use in adverse weather conditions. Moreover, the compact design enables users to carry it effortlessly in their backpacks.